This 8-day tour across Disko Bay in Greenland showcases gorgeous contrasting landscapes and brings you an opportunity to see the magnificent Aurora Borealis. Sail across mammoth icebergs and beautiful fjords while spotting whales and seabirds. Cruise in zodiacs and hike across lush green valleys to spot Arctic foxes and hares. Fly to Aasiaat, a 17th century former whaling-station, where the S/V Rembrandt Van Rijn awaits you. Your Arctic voyage starts at Kangerdlussuak in Greenland from where you take a chartered flight to Aasiaat (not included in tour cost). Lying at the mouth of Disko Bay, Aasiaat is a 17th century former whaling-station. This is where the S/V Rembrandt Van Rijn, your home for the next few days, will be waiting for you. This ship is well suited for expedition cruising among small islands, and offers great viewing decks even under sail. It has an experienced crew of 12 persons on board, including two tour guides. Settle into your cabin on board and prepare for an exciting voyage by getting a good night’s sleep. The ship will spend most part of the night anchored at Aasiaat before heading for Disko Bay tomorrow. Start your exploration of Disko Bay today. Visit Fortune Bay or Engelsmandens Haven, where there are warm springs. Get your first chance to see the Aurora Borealis. Wake up at the mouth of the Disko Bay—one of Greenland’s most popular tourist spots. The bay is an excellent place to see the midnight sun, the world’s longest fjord, and abundant seabirds and sealife. However, the most famous characteristic of Disko Bay is the numerous days with mirror-like water, perfect for landscape photography! Spend the night in Fortune Bay or Engelsmandens Haven, where there are warm springs. While on tour, step out on the viewing decks in the evenings to see the magnificent Aurora Borealis (Northern Lights). This beautiful phenomenon is caused by eruptions on the sun and can be witnessed at night in high latitudes. Each time you see the Aurora, you’re likely to see a unique visual pattern. You’ll see green bands, flickering curtains, or rolling smoke with a hint of pink/purple at the edge. Make sure you’re alert as the Aurora can disappear in seconds and can be difficult to photograph. Sail in zodiacs through the UNESCO World Heritage site of Jakobshavn Glacier. Explore Godhavn with its characteristic, snow-covered basalt cliffs. These cliffs stand out starkly as they are markedly different to the mountains on the mainland. A contrast of glaciers, hot springs, and hillsides and valleys dominate this area. Continue sailing south of Godhavn to Jakobshavn Glacier. This UNESCO World Heritage Site has one of the world’ fastest ice streams. Every day, it sends around 70 million tons of ice to Jakobshavn Fjord. The tranquil waters here are dominated by gigantic icebergs that form quite an awe-inspiring sight. Spend many hours sailing in zodiacs through this area and enjoying its scenery. 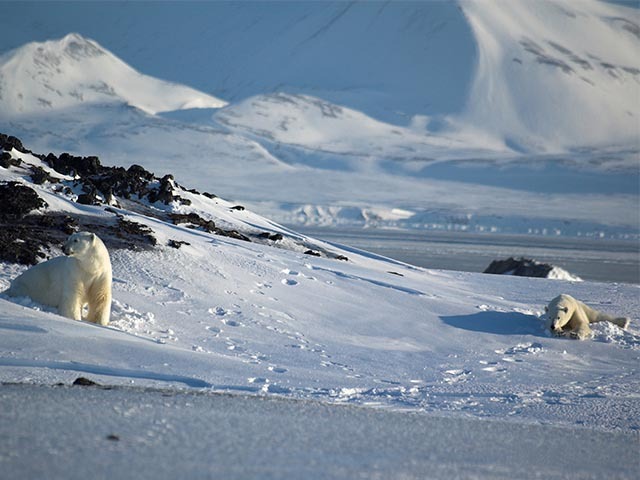 Greenland and its surrounding waters are home to an impressive array of wildlife. There are about 50 bird species on the island including gyrfalcons, snowy owls, barnacles, and pink-footed geese. 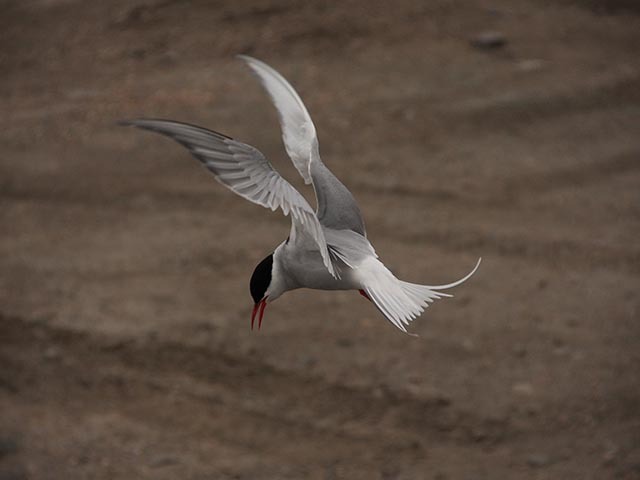 Visit Flakkerhuk, Narujuk, and Modderbugt to observe seabirds. Also see the 4,000-year old remains of dwellings of the Saqqaq Culture. 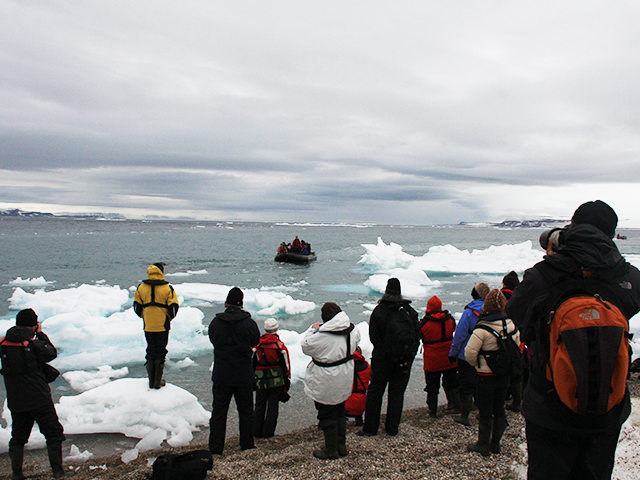 Land at Flakkerhuk, on the east side of Disko Island, making your way through waters dominated by huge icebergs. The ship will stop at several points along the coast, like Narujuk and Modderbugt to observe birds like long-tailed skuas, turnstones, grey phalaropes, and other bird species typical to the High Arctic. The birds breed on a beautiful tundra landscape backed by basalt cliffs. Later in the day, if time and weather permits, you may visit Saqqaq, a spot famous for the 4,000-year old remains of dwellings of the Saqqaq Culture. It is said that the Saqqaq Culture inhabited this area of Greenland between 2500 BCE and 800 BCE. Go on hikes to see lush tundra landscapes near lakes in valleys surrounded by basalt cliffs. Arrive at Davis Strait in the morning. See the edge of the Baffin Bay sea-ice from here. The bay is named after William Baffin, a European explorer, who reached the bay in 1585 and described it in great detail in 1616. If weather permits, your guides will take you to Nordfjord and Qasigissat to see lush tundra landscapes near lakes in valleys surrounded by basalt cliffs. On your hikes look for many of Greenland’s mammals like Arctic wolves, Arctic foxes, ermines, collared lemmings, muskoxen, and Arctic hares. Visit a Thule dwelling site, and cruise along Queqertaq Island to see Greenland’s largest Northern Fulmar colony. Sail into the Kuanerssuit Fjord towards some beautiful warm springs. Visit a Sioraq settlement where the people keep sledge dogs. Also, visit a Thule dwelling site with large turfhuts. In the evening, cruise along Queqertaq Island (1000m high) to see Greenland’s largest Northern Fulmar colony. Keep your eyes open for fin, minke, humpback, and beluga whales, and narwhals in the waters. 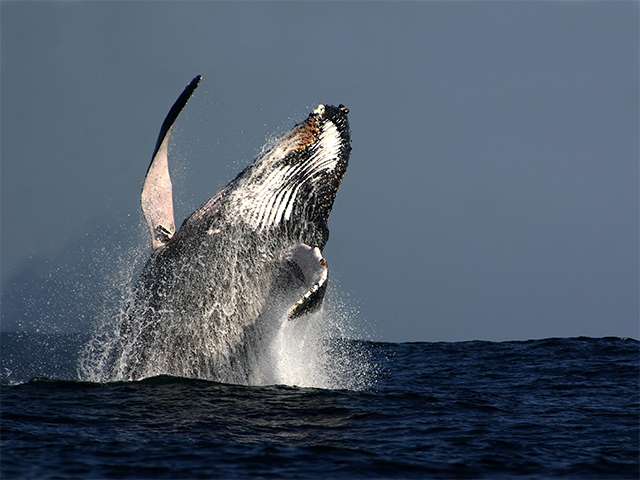 You might also occasionally spot blue whales, sperm whales, and pilot whales. It’s a day of cultural learning today as you see 11th century dwellings of Greenland’s Thule culture, and graves from 18th century European whalers. Sail south of Godhvan to Hunde Ejlands for a day of cultural exploration. See a Greenlandic settlement, 11th century dwellings of Greenland’s Thule culture, and graves from 18th century European whalers. In the evening, grab your last chance to witness the beautiful Aurora Borealis, as this is your final night on board the S/V Rembrandt Van Rijn. This is the final day of your Arctic adventure. Disembark the vessel at Aasiaat and fly to Kangerdlussuak. Then catch an onward flight to Copenhagen and head home. Your Arctic voyage ends today as the S/V Rembrandt Van Rijn returns to Aasiaat. Fly from Aasiaat to Kangerdlussuak by a chartered flight. Then fly onward to Copenhagen by a scheduled flight (flights not included in the voyage cost).